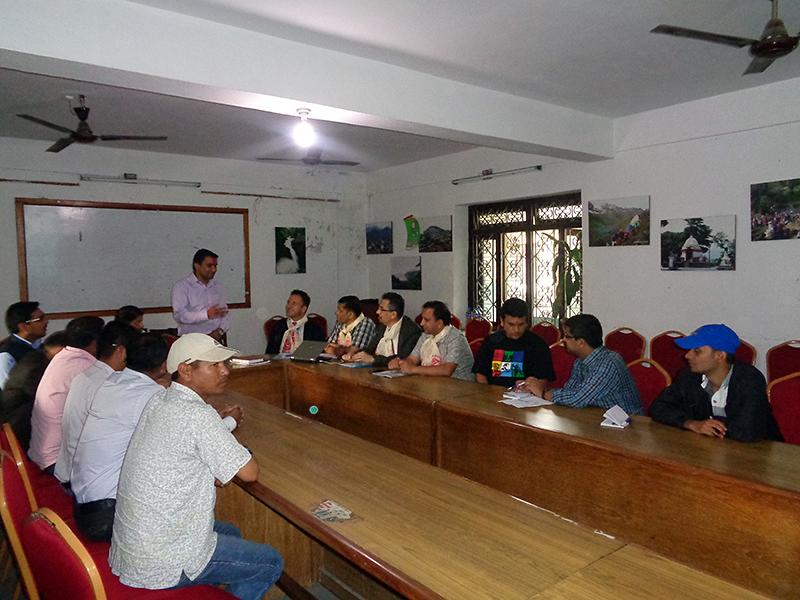 Mr. Renauld Meyer, Country Director, UNDP Nepal along with other high level officials visited DDC Kaski, Pokhara on 10 April 2015 and participated in a discussion. 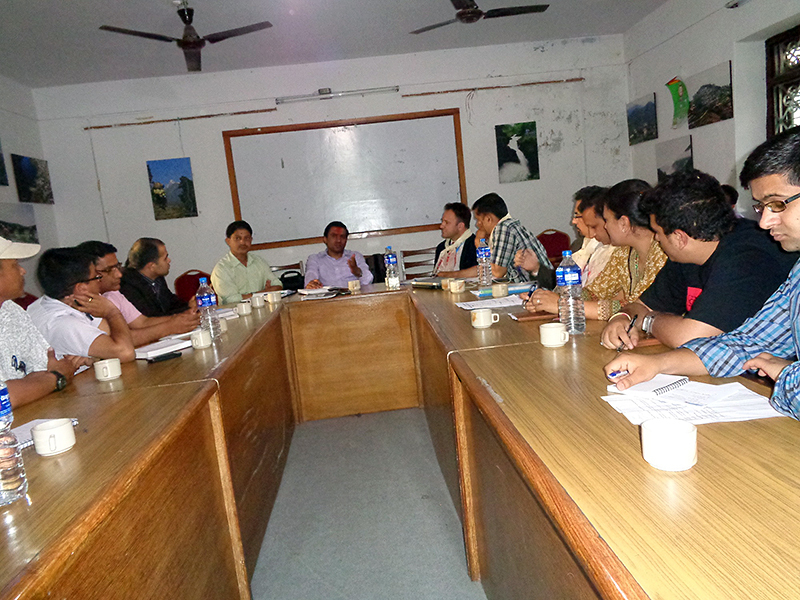 Mr. Yam Nath Sharma, Assistant Country Director, UNDP was also among the visiting delegate. The discussion mainly focused on the major programme areas under district development committee including major achievement and impact made by LGCDP to strengthen demand and supply side of Local Governance. 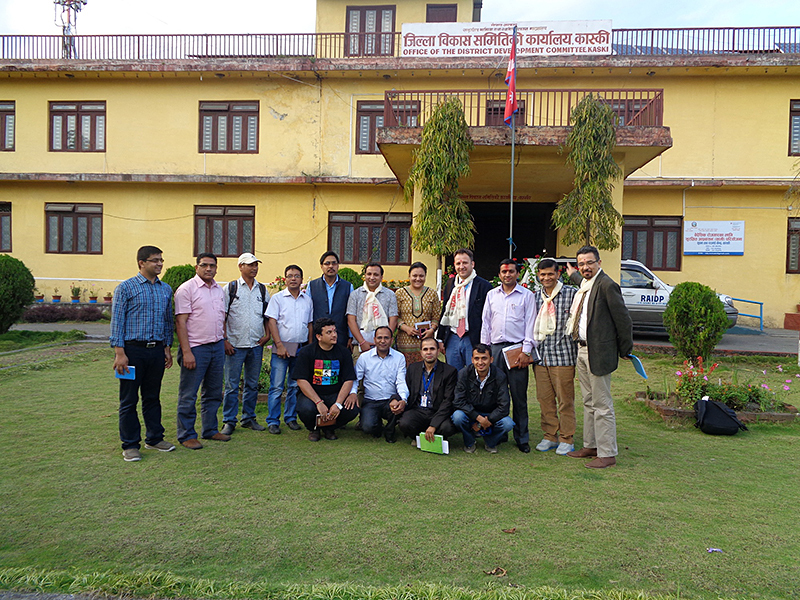 The high level representatives were welcomed by Mr. Tara Nath Adhikari, Local Development Officer (LDO), Kaski, other DDC officials and LGCDP Regional team led by Mr. Saroj Shrestha. A brief presentation was held on the progress of past and present in areas of citizens’ empowerment, local government service delivery, accountability, governance, transparency, infrastructure, and Social and Economic development. Mr Meyer along with other UNDP officials updated themselves on the various local governance needs and issues, and how cross cutting issues such as CFLG, EFLG and GESI and others are incorporated in the local level planning processes. Mr. Meyer stated of continuous support to the GoN in its priorities areas. On the occasion, Local Development Officer underlined that despite limited resources and delays in budget release, the service delivery has not been affected. LDO Adhikari also expressed that LGCDP has been instrumental in strengthening local governance in absence of local elected bodies’ representatives, in particular the social mobilization activity in field level and technical/financial support for institutional development of Local Bodies. 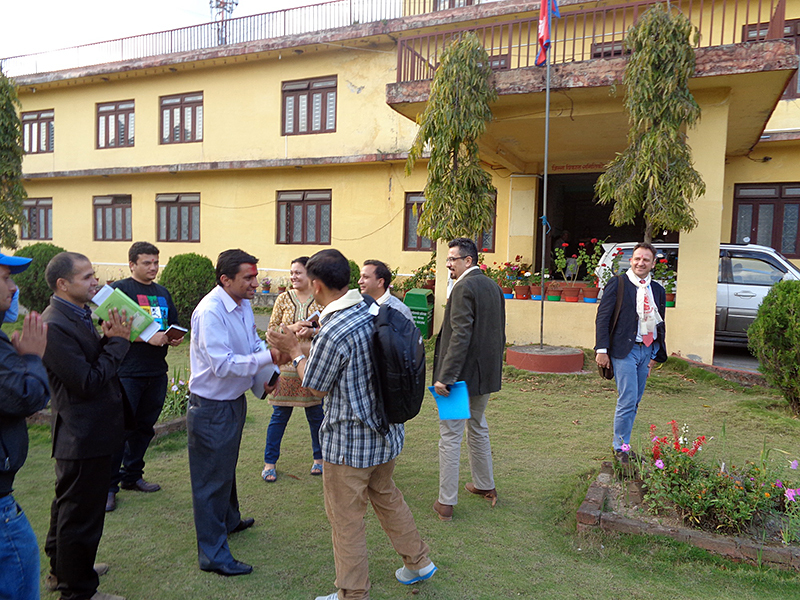 Following the meeting, the UNDP team left for Baglung to observe by-election held on 11 April, Saturday for the vacant seat in Constituency no. 1.